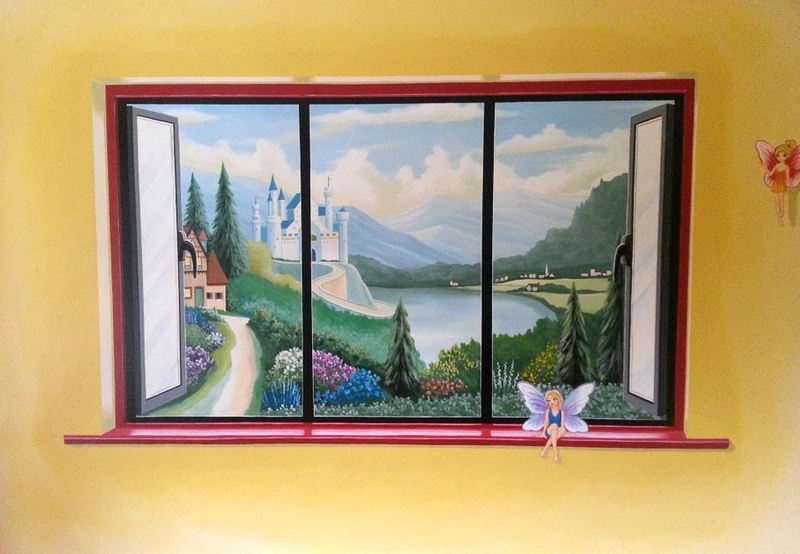 This mural is in the trompe l'oeil style, showing a large window opening up onto a fairy-tale landscape. 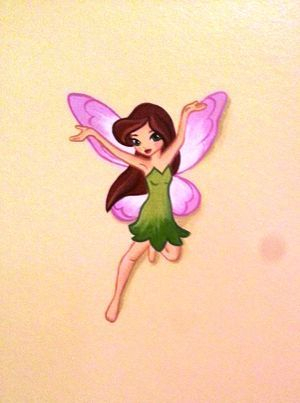 There are also thirteen fairies and some flowers dotted about the room. 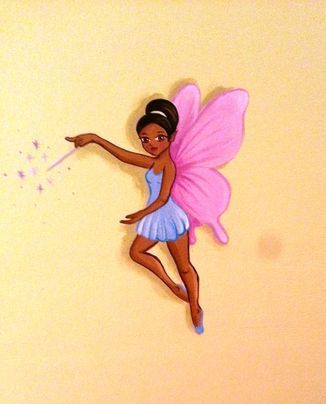 We painted the entire room a pale yellow to begin with and due to the amount of detail that went into the fairy window and the fairies, this took us four and a half days to complete.